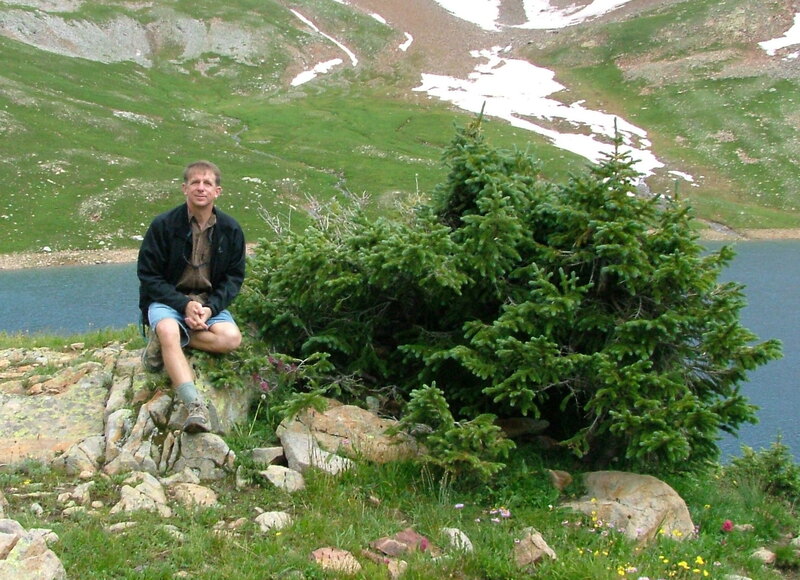 The author resting during a hike in the mountains. Michael was born and raised in Maryland. He and his wife of thirty-five years, Kathleen, moved to Wyoming in 2010. In his leisure time, he runs and reads, both to excess. He has run numerous marathons, including Boston and, in August of 2010, completed the one hundred mile Race Across the Sky in Leadville, Colorado. The Author’s working life has been a smorgasbord of careers and occupations: UPS driver, mall cop, maintenance man, cabinetmaker, woodturner, master electrician, business owner, and more. All his life, he dreamed of being a writer. Writing was something he dabbled with in the little spare time he had while he and his wife raised their four children. With the children grown and bringing along families of their own, the urge grew to take that leap of faith into a writing career. In January 2011, the stars aligned and circumstances finally allowed Michael to pursue his passion. The result was like the bursting of a dam- the 125,000 word rough draft for Harvest of the Heart poured onto the page in just seven weeks. With the help of Bill Thompson, who has worked with such authors as Stephen King, Peter Straub and John Grisham, Michael honed his craft and his manuscript. His first novel was released in 2011 and 2012 will see the release of Running Scared, a collection of short stories, as well as the sequel to Harvest of the Heart entitled Avenging Angel.